human rights defender Ahmned Mansoor and other prisoners of conscience held in the UAE. On October 4 2018, the European Parliament (EP) meeting in a plenary session in Strasbourg, adopted a Resolution on the UAE, notably the situation of human rights defender Ahmed Mansoor, in light of the 10-years prison sentence handed to him in May 2018 on charges based solely on his inherent right to freedom of opinion and expression. On May 30 2018, Ahmed Mansoor, a prominent human rights defender, was sentenced by the State Security Chamber of the Federal Supreme Court to ten years in prison and received a fine of Dh 1 million (around EUR 240.000) on charges of insulting the “status and prestige of the UAE and its symbols” as well as using his social media account to spread “hatred and sectarianism” and “false information” under the 2012 Cybercrimes Law. The EP Resolution addressed and expressed concerns over this piece of legislation, often used to repress and punish human rights activists and restrict freedom of expression online. Ahmed Mansoor was originally arrested by security forces on March 20 2017 and had been subjected to prolonged enforced disappearance. During the period before the trial, it was reported that Mansoor was being held in solitary confinement, was denied access to a lawyer or defence counsel and was allegedly subjected to torture. During this period, his relatives had been denied any contact with him and were allowed to visit him on four occasions. However, in those occasions, he was brought from an undisclosed location to the State Security Prosecutor’s office in Abu Dhabi. Despite condemnation and demands from the United Nations human rights experts, human rights organisations and his family, the UAE authorities have refused to reveal his whereabouts. However, the European Resolution highlights that, according to the UAE authorities, he is being detained in Al Sadr prison in Abu Dhabi. The EP Resolution highlights these different breaches of due process during Mansoor’s arrest and detention, the “grossly unfair trial” and the various violations of Masoor’s inherent human rights and fundamental freedoms. The recent arrest, disappearance, and trial is only the latest in the UAE’s targeting of Ahmed Mansoor. Previously, along with four other activists, he was arrested and sentenced to prison in 2011 for petitioning the government for legislative reforms. The day after though the five activists received pardons. From 2011 onwards, Mansoor has been harassed by authorities, faced physical assaults, surveillance and passport confiscation all because of his activism. Between 2011 and 2014 his computer was repeatedly infected with spyware by the UAE as well as his cell phone in 2016 in order to monitor his whereabouts and online activities. Despite harassment and detention, Ahmed Mansoor was one of the last remaining human rights activists in UAE as highlighted by MEP Ignazio Corrao (EFDD). 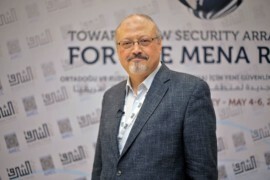 He had received the 2015 Martin Ennals Award for Human Rights Defenders for his ongoing efforts to raise awareness of arbitrary detention, torture and other systemic human rights violations. Recalling Mansoor’s situation, the EP Resolution; therefore, “Strongly condemns the harassment, persecution and detention of Ahmed Mansoor as well as of all other human rights defenders solely on the basis of their human rights work and their use of their right to freedom of expression both online and offline” and calls the UAE authorities to release Mansoor immediately and unconditionally and drop all charges against him as he is a prisoner of conscience. The EP Resolution notes that Mansoor’s arrest is an “unacceptable violation on freedom of expression and freedom association” which reflects a similar statement issued by a number of UN human rights experts in June 2018. Despite addressing the issue of Mansoor’s arrest, the EP Resolution also highlights the broader human rights situation in the UAE by calling for greater freedoms in the country and urges the country to respect its international human rights obligations notably the International Covenant on Civil and Political Rights (ICCPR) which the UAE has ratified. The Resolution debated at the plenary session garnered great support, mostly from S&D, ALDE, GUE/NGL and Greens deputies. The resolution was adopted with 322 MEPs voting in favour and 220 against, along with 56 abstentions. ECHDR strongly welcomes this new European Parliament’s resolution which justly condemns the recent arrest of human rights defender Ahmed Mansoor while addressing the issue of human rights and EU trade agreements with third countries, human rights violations and the ongoing crackdown of freedom of expression, freedom of speech and freedom of opinion. We commend the MEPs’ efforts to call on the EEAS to propose, and for the EU Member States to adopt, EU targeted measured related to serious human rights violations in the hope for the introduction of targeted sanctions and urge the HR/VP and the EU Member States to take a strong public stand towards these human rights violations. ECDHR condemns the UAE’s arrest of Ahmed Mansoor and other human rights defenders and calls for their immediate release. ECDHR also condemns the continued crackdown on peaceful activists, on fundamental freedoms and on the right to a free and fair trial.